The thunderstorms continued through the previous night so we were relieved to see clear weather for the Long distance day – though we were not confident it would last in the mountain area. We had an early start with the early runners needing to be at 6.50am bus. The terrain was hilly pine forest between 1300 to 1750m above sea level. The ‘Malyovitza’ map was very green and the wet summer has caused the grass to be very long making the tracks and open areas difficult to run, especially for the early starters. 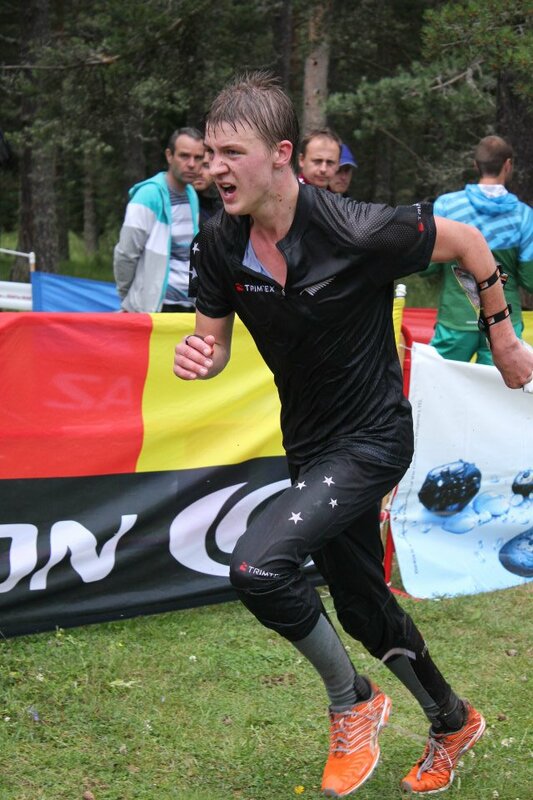 The quarantine was held at the higher point of the map in a ski field area – the runners had a steep climb to the start and began the course with a mostly downhill section, before ‘climbing’ back through the arena. The first runners took a long time to appear through the spectator run through – they appeared wet and bedraggled, indicating that the winning times would not be longer than anticipated – Men 70 minutes and Women 55 minutes. Becky Gray was our first runner and not only had to deal with the high wet grass but also stomach cramps. 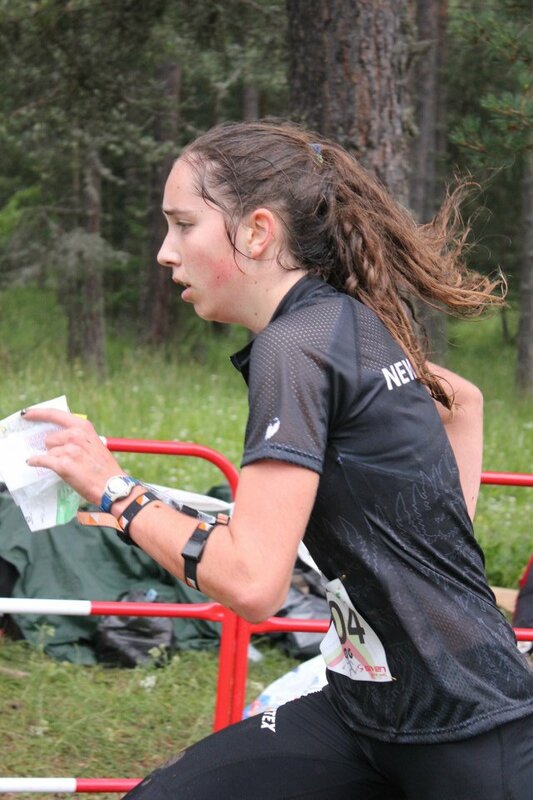 Although she valiantly persevered through the spectator run through, she wisely made the decision to retire from the course and head back to the hotel to rest and recover. Fortunately the following rest day allowed her to regain her appetite and energy. 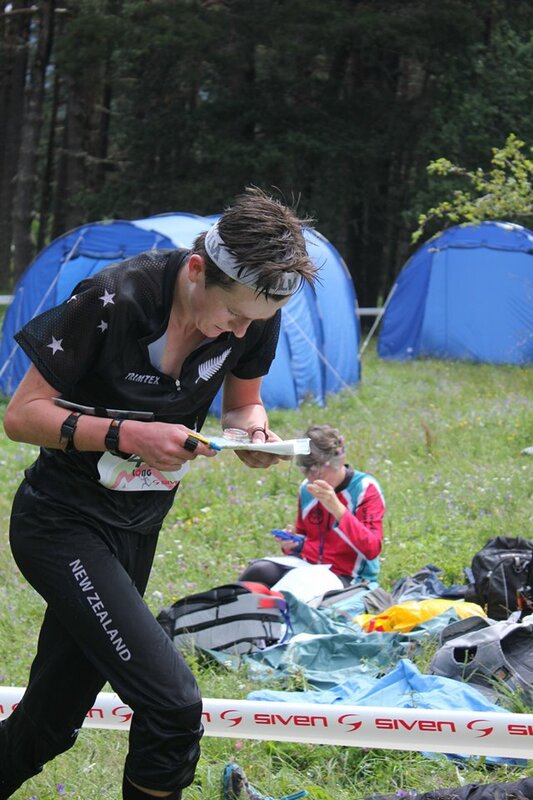 The NZ girls all found the terrain very physical and demanding – 13 competitors did not finish the course. Kayla Fairbairn had the best NZ female result with her 73rd placing in a time of 1 hour 41 minutes. Shamus Morrison came through the arena run through just on the hour and with a strong finish appeared near the top of the leader board. Nick made a parallel error early in the course and had to make up for some lost time, he also passed through the arena on the hour and had a strong final loop. Tim came through the arena favouring his old calf injury, however continued on to put in the quickest NZ performance of the day. All 3 Wellington lads placed in the top 25, boding well for a strong relay performance later in the week. We think the training on the ‘Wellington Green’ maps gave these 3 that extra edge. Ed Cory-Wright impressed with his debut appearance finishing in a creditable 81st place. Callum rolled his ankle but determinedly finished his course. The whole team was relieved to finish and that the weather stayed fine for all the competitors. We are very thankful that there is a rest day following! Whew – finally a chance to sleep in and ‘recharge the batteries’! Rob took 2 trips to the Middle Model map to give the team a chance to explore the terrain. An informant from Auckland let us know that Rob was celebrating his birthday that day…so we arranged to surprise him with a cake at the Aussie/NZ supporters afternoon tea we held in the BBQ area outside the Lion Hotel.